Primary focus of this gambling destination is, naturally, online slots, but other games including video poker, scratch cards, specialty games, and lots and lots of blackjack are also available to all members. 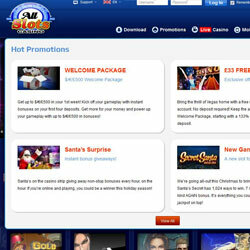 Besides the long list of games, members are welcome to enjoy a whopping $500 bonus package in their first week at the casino, as well as a wealth of other promotions and special events tailors to reward players with cash. Multi-level loyalty program offers more chances of getting cash for free. Microgaming is THE name in online casino software, and All Slots Casino runs its downloadable, no download, and mobile casino platform on this industry-leading software. Apart from hundreds and hundreds of high-quality games, Microgaming also means access to the best progressive jackpot network with millions and millions paid out to lucky players on a regular basis. All Slots Casino may be focusing on online slots, but members looking for a little blackjack will definitely find their flavor here. The casino hosts over 30 blackjack variations in both single-hand and multi-hand versions. Blackjack games include the likes of Classic Blackjack, Atlantic City Blackjack Gold, Big Five Blackjack Gold, Double Exposure Blackjack Gold, European Blackjack Gold, and much more. 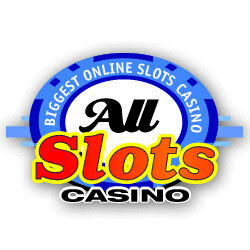 All Slots Casino knows what players want, and on top of an immerse selection of blackjack games offers other classic table games, video poker, specialty games, and lots of online slots. 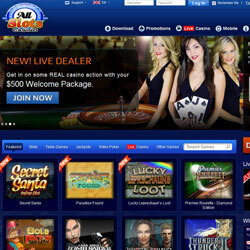 The variety of real-money online slots includes simple machines with 3-reels, but also features the latest sophisticated slots, as well as time-proven classics. 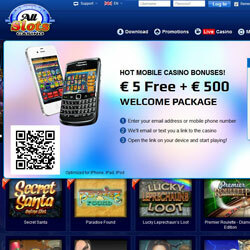 All Slots Casino is not only about providing members with lots of games to play. The casino knows that bonuses and rewards are important and treats all new members to a $500 welcome package in their first week. 100% Max. 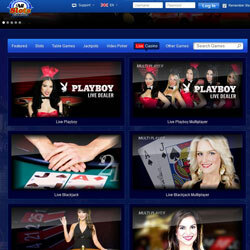 $200 first deposit plus 50 Free Spins is the start and it goes on to a 25% Max. $100 2nd deposit, 50% Max. $100 3rd deposit, and 25% Max. $100 4th deposit bonus. Annual cash back bonus will deliver a whopping $5,000 to every members’ door, split into annual deposit cash backs of 10%. Regularly updated promotions, competitions, giveaways, and a rewarding multi-tier loyalty program offer more ways of receiving cash for free.